dressed up like a lady: My busyness is your amusement. My busyness is your amusement. We're moving the last of our furniture today, so I'm in no position to take or upload any new pics. So how about I just embarrass myself with this cache of MIDDLE SCHOOL PHOTOS?!?! They do technically contain "style." In quotes. Age 12. 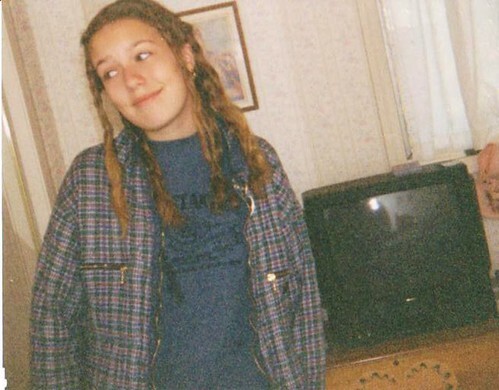 White girl dreads. 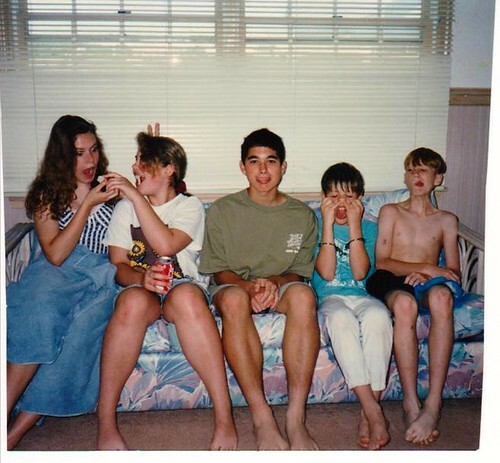 Age 13: Wearing a one-piece at the beach at Nags Head with Meredith, Michael, Ross, and Josh. 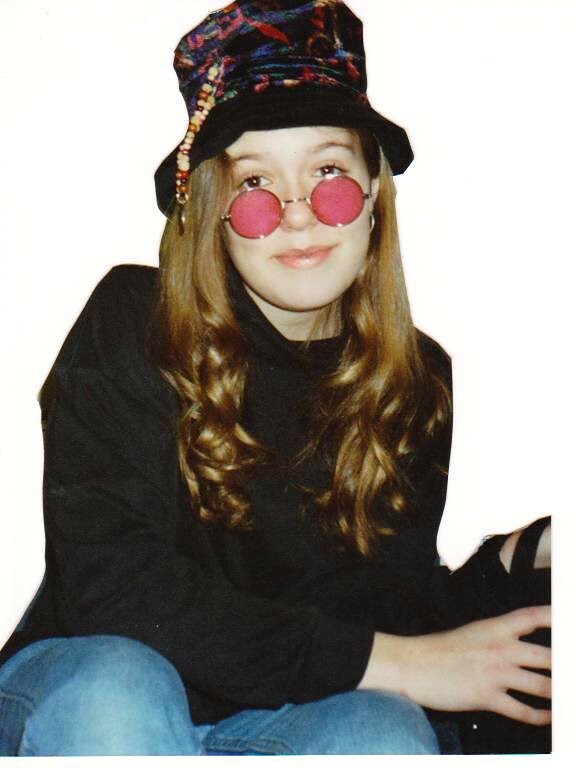 Age 13: Filming a "Skit for School About Beatniks" according to the back. But that excuses nothing -- these were all my clothes. 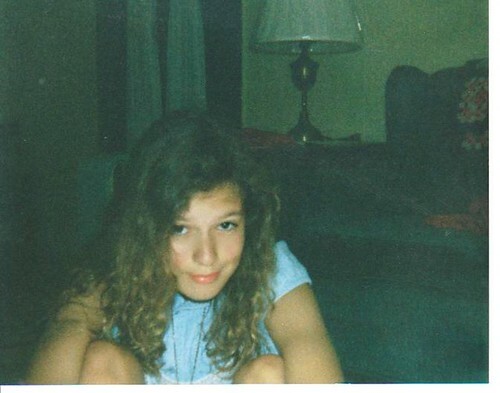 Age 12: in my parent's living room. Okay, that's enough humiliation for now. Hopefully I'm successfully loading a dolly while you read this. Wish me luck! So awesome. Especially the one with the glasses. You've only gotten better with age, my dear! Good luck on the move today! Awwww..remember 6th grade Art? Good times. Oh my gosh... these are too much fun! Good luck with the move and thanks a ton for the referals... you're awesome! Camilla, these pictures are so sweet. This is how I will always remember you; a sweet, caring, beautiful person. MC is so fortunate. OH.MY.GOSH!!! It seems you have always been amazing and cool....lucky. Congrats again on you're move!